A new type of contact lens has been created that has been designed to deliver eye medication to users in controlled doses. The new contact lenses have been developed by a team of biomedical and chemical engineers from Alabama’s Auburn University. Normally drugs which have been administered to patients eyes are washed out within around 3o minutes after being applied. 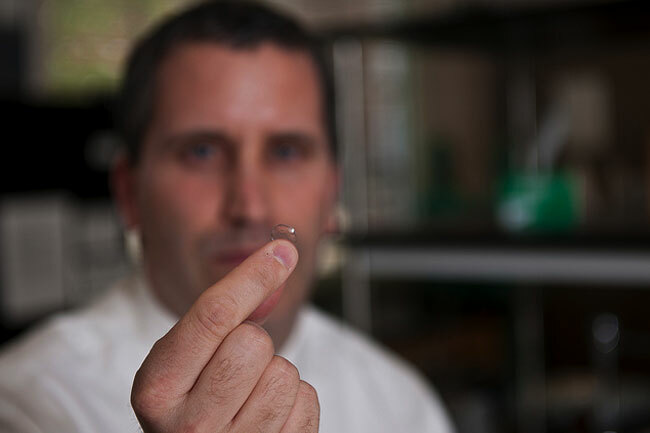 To help by-pass this wash out problem, the team has developed a disposable contact lens that can administer medication you the wearers eye, such as antibiotics, anti-inflammatories and/or anti-allergy drugs several times a day.